Excerpt of an article originally published under the title "Erdogan's Neo-Ottoman Plans." 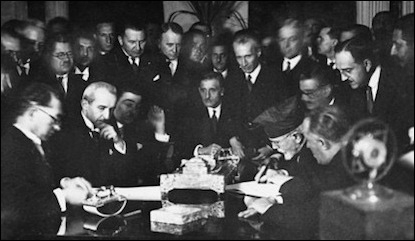 Last month, President Erdogan called Turkey's borders laid down under the 1923 Treaty of Lausanne "the greatest injustice to be done to the country and to the nation." Speaking at a public rally on October 22, Turkish President Recep Tayyip Erdogan said that "We did not accept our borders voluntarily." He went on to say, "At the time [when the current borders were drawn] we may have agreed to it but the real mistake is to surrender to that sacrifice." What does all that mean? On October 19, Erdogan spoke of Turkey being constrained by foreign powers who "aim to make us forget our Ottoman and Seldjuk history," when Turkey's forefathers held territory stretching across Central Asia and the Middle East. His words came at a time when the pro-government media was publishing maps depicting Ottoman borders encompassing an area that included Iraq's second largest city, Mosul, a former Ottoman province. [In 1914] Our territories were as large as 2.5 million square kilometers, and after nine years at the time of the Lausanne Treaty it diminished to 780,000 square kilometres.... To insist on [the 1923 borders] is the greatest injustice to be done to the country and to the nation. While everything is changing in today's world, we cannot see to preserving our status of 1923 as a success. Erdogan's newfound claims seem to refer not only to wish to regain hegemony to the west (Greece) but also about the south (Syria) and the southeast (Iraq). Turkey evidently wishes to be part of an Iraqi- and Kurdish-led offensive against Mosul, controlled since 2014 by the Islamic State of Iraq and Syria (ISIS). Turkey, it appears, would like to be part of the operation primarily to make sure that post-ISIS Mosul is "Sunni enough" and not Shiite. Erdogan's border claims seem to point west (Greece), south (Syria) and southeast (Iraq). In Syria, Turkey is targeting Kurds with the help of its allies, the semi-jihadist Islamists under the umbrella force of the Free Syrian Army (FSA). The Turkish military launched its land incursion into Syria on August 24 and has been controlling the area ever since, supporting from behind various Sunni Islamist factions under the SFA. On October 20, one day after Erdogan spoke of the "injustice of the 1923 borders," the Turkish military said its warplanes bombed U.S.-allied Kurdish fighters in northern Syria. These bombings took place as Kurdish fighters were advancing against ISIS militants near Afrin, a city about 40 kilometers northwest of Aleppo. Turkey said its attacks killed 160 to 200 Kurdish fighters, but a predominantly Kurdish political party in Turkey, the HDN, said 14 people, including four civilians, were killed. The move not only exposed the allied campaign against ISIS to unforeseen operational risks but also could create military tensions between Turkey and Syria, the latter supported by Iran and Russia. The Syrian government quickly warned that further Turkish planes in Syrian airspace will be "brought down by all means available." Erdogan's pro-Ottoman revisionism appeals to tens of millions of Turks. On October 22, local sources informed the Syrian Observatory for Human Rights that the Turkish shelling was still continuing on areas controlled by the Syrian Democratic Forces. On that day alone Turkish forces launched more than 200 tank and artillery shells and missiles. Erdogan's pro-Ottoman revisionism may appeal to tens of millions of Turks' newfound pride, to their yearning for their forefathers' glorious past, and may even come in the form of more votes for the already popular president. But this irredentist sentiment, especially if further supported by military hardware, will only make a turbulent region even more turbulent -- including Turkish territory.